Stephen Colbert has been named the new host of "The Late Show." 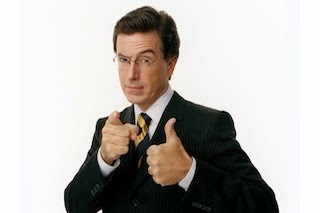 The 49-year-old Emmy-winning Colbert will take over from current host David Letterman, when he retires next year. "Stephen Colbert is one of the most inventive and respected forces on television," said Leslie Moonves, CBS president and CEO. "David Letterman’s legacy and accomplishments are an incredible source of pride for all of us here, and today’s announcement speaks to our commitment of upholding what he established for CBS in late night."